This beige colored laundry basket is adorned with a criss-cross mesh pattern. You can keep all your laundry in this basket. It is very convenient to be carried around and has two slots on either side of the laundry basket that help you carry it with ease. The laundry basket also has a lid that helps in covering it and prevents the clothes from falling off. 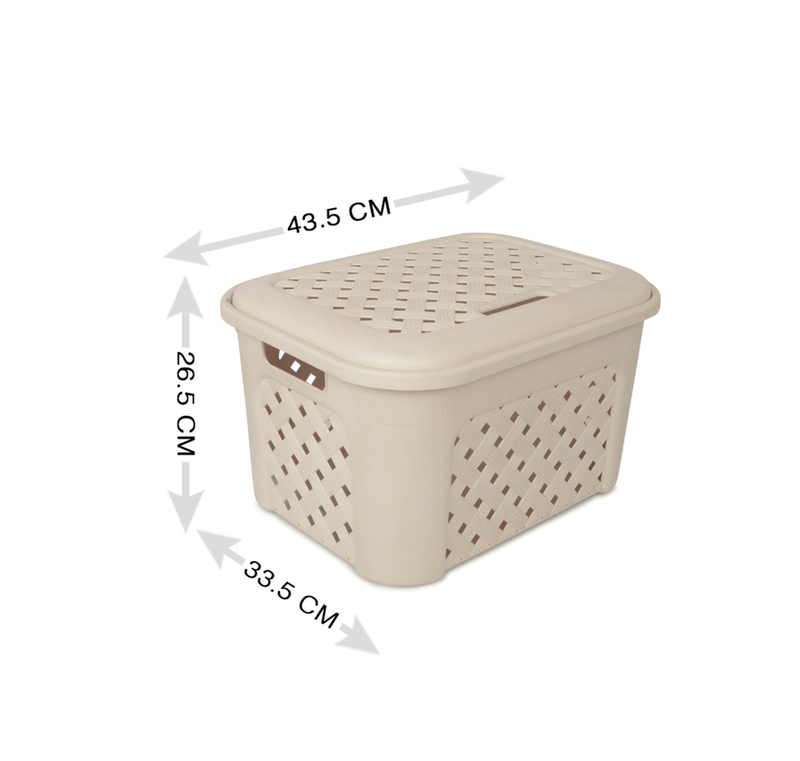 It is a medium sized laundry basket that you can use daily for keeping all the clothes that have to be washed neatly. It is made of sturdy material that helps in increasing its durability. The mesh pattern and cute design of the basket makes it a beautiful piece. Now forget about the hassle of carrying clothes to the washing machine when you have got this easy to carry and robust laundry basket. Keep your unwashed clothes intact and in one place with this beige laundry basket and you are sorted. You can buy this attractive and useful laundry basket from @Home.